The success of many military missions depends on the element of surprise. To that end, military forces around the world have always worked to find the best techniques for hiding their personnel and equipment. 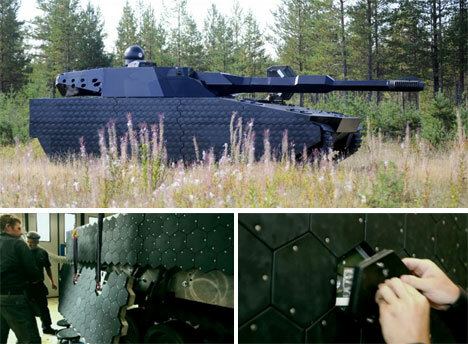 A new type of camouflage being developed by BAE Systems in Sweden could hide tanks and other gear so expertly that enemy soldiers would think they’re looking at something entirely different. The device is called Adaptiv, and it uses a series of smallish thermal screens to blend into the surroundings, kind of like a chameleon. The interlocking thermal screens are each about the size of an adult human’s hand. It would take about 1000 of them to cover a small tank. Once arranged on the tank, the built-in scanners would read the surrounding buildings and terrain and then produce a thermal image that lets the tank blend in to whatever is nearby. In a city, it can look like a civilian car or a small building. Out in the countryside, it can disappear or even look like a cow. The device would have a library of images built in so that it could recall a specific image from memory rather than picking up cues from the surrounding area. 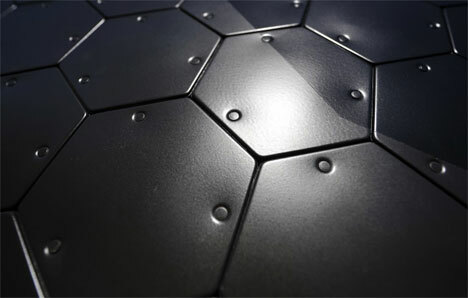 The scientists working on the project say that the effect would vary in believability depending on where the viewer is standing, but future iterations will be more and more convincing. 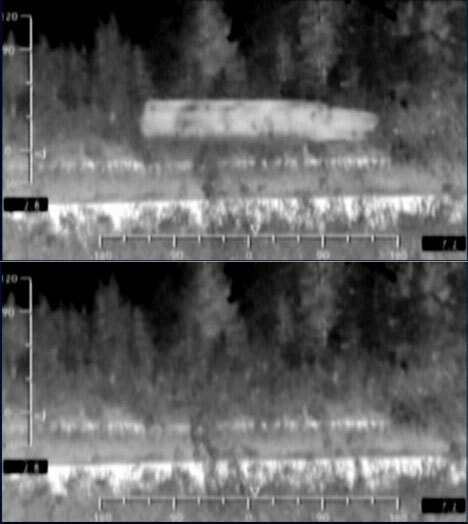 So the next time you’re walking down the street of a major city wearing infrared goggles and see a cow hanging out by the curb, you might want to go have a closer look just to see if there’s actually an invisible tank inside. See more in Futuristic or under Technology. September, 2011.